Former journalist Sabaa Tahir burst onto the YA scene with her #1 New York Times-bestselling novel, An Ember in the Ashes. Hailed as a “master of suspense,” Tahir’s epic fantasy series has firmly planted her among the great fantasy writers of our time. 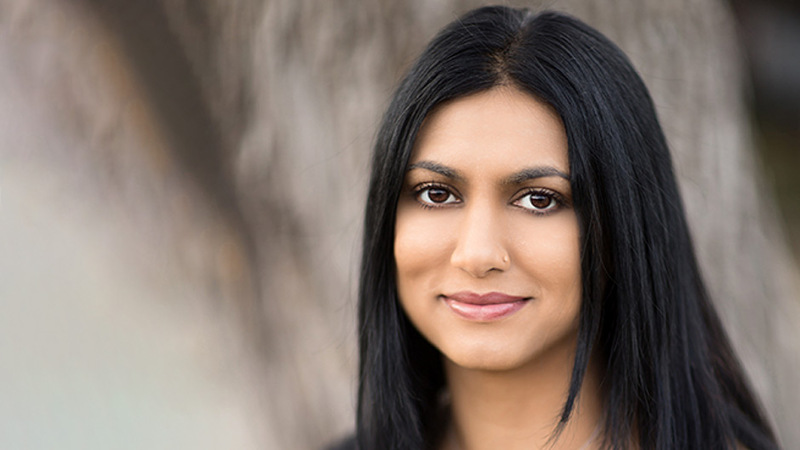 Sabaa Tahir is the New York Times-bestselling author of An Ember In the Ashes, A Torch Against the Night, and A Reaper at the Gates, a series of wildly popular fantasy novels that have captured the attention of readers of all ages. Tahir’s books are beloved for their action-packed style, entrancing world-building, and prescient commentary on current events and social justice. Through her fiction, Tahir’s novels raise questions about freedom, morality, and what it means to be human. Before writing full-time , Tahir was an editor at The Washington Post. While editing an article from the Posts’ India correspondent about Kashmiri women awaiting information about the fates of their detained husbands, Tahir was inspired to begin work on her first book. Their struggle and subsequent strength in the face of the unknown resonated with Tahir, herself the daughter of Pakistani immigrants, and inspired her to tell the story of Laia and Elias, two young people fighting a shadowy, savage government to reunite with their lost family. An Ember in the Ashes was a smash hit upon publication, and a film adaptation is currently in the works. Tahir is a frequent speaker at book festivals, schools, universities, and libraries. 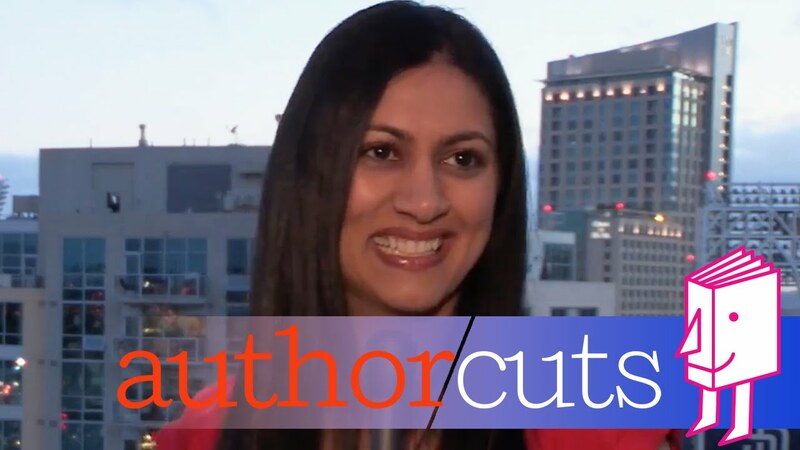 In engaging talks, she discusses her path to publication and how stories set in fantastical lands can illustrate the day’s most pressing issues. 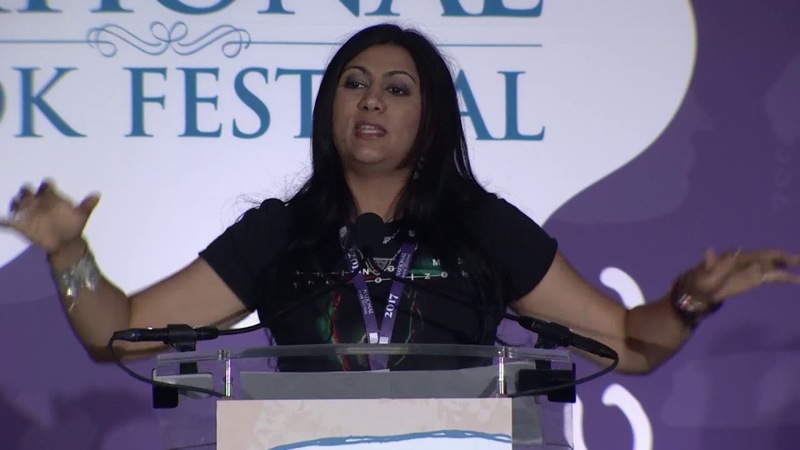 Tahir grew up in California’s Mojave Desert at her family’s eighteen-room motel, where she spent her time devouring fantasy novels, raiding her brother’s comic book stash, and playing guitar badly. She currently lives in the San Francisco Bay Area with her family. An in depth look at the process of writing An Ember in the Ashes, the unusual turns the story took, the interviews and research required to make the story authentic, and the equally challenging process of writing the books’ sequels. 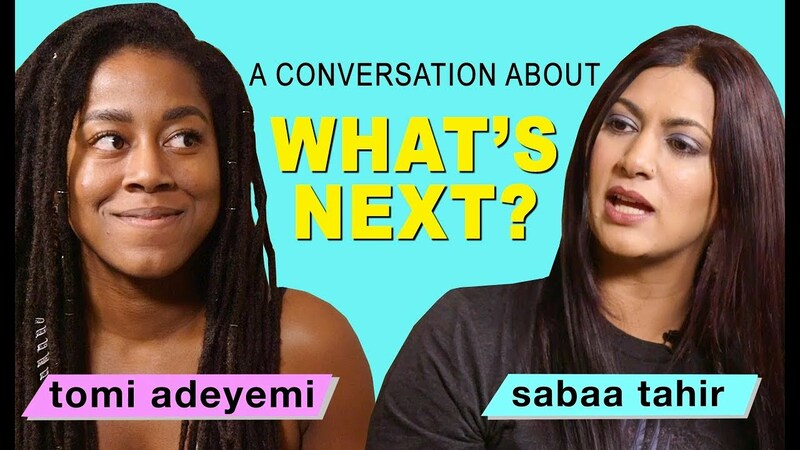 In this talk, Sabaa focuses on purposefully choosing to portray a diverse world and cast, as well as the inspiration she took from world events while working as a journalist. Sabaa Tahir speaks about her multiple failures across the course of her life, and how those failures helped shape her outlook and prepare her for a career in journalism, and for what followed: the arduous, six-year journey to write her #1 New York Times-bestselling An Ember in the Ashes. We will all face monsters in life, though we don’t always know what to do when we encounter them. Sabaa Tahir delves into her own cowardly reactions to monsters as a teen, and the importance of recognizing and ultimately battling your own monsters, whether it be for the good of one person, or the good of many. 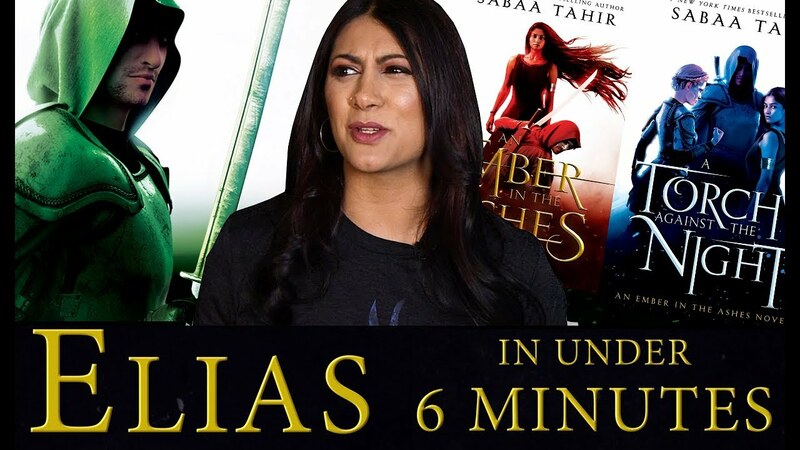 Can Sabaa Tahir Recap Elias’ An Ember in the Ashes Journey in Under 6 Minutes? Tahir’s deft, polished debut alternates between two very different perspectives on the same brutal world, deepening both in the contrast. In a tale brimming with political intrigue and haunted by supernatural forces, the true tension comes from watching Elias and Laia struggle to decide where their loyalties lie. One thing I can say for sure: this is a page-turner. There comes a moment when it’s impossible to put it down. Sabaa Tahir is a strong writer, but most of all, she’s a great storyteller. Fast-paced, well-structured and full of twists and turns, An Ember in the Ashes is an evocative debut that has left me invested in knowing what happens next. Sabaa Tahir spins a captivating, heart-pounding fantasy. [An Ember in the Ashes] thrusts its readers into a world marred by violence and oppression, yet does so with simple prose that can offer moments of loveliness in its clarity. This complexity makes Ember a worthy novel—and one as brave as its characters. This novel is a harrowing, haunting reminder of what it means to be human—and how hope might be kindled in the midst of oppression and fear. Tahir proves to be a master of suspense and a canny practitioner of the cliffhanger, riveting readers’ attention throughout.…[An] action-packed, breathlessly paced story. A Torch Against the Night is an unabashed page-turner that scarcely ever pauses for breath. The sequel to Tahir’s bestselling smash An Ember in the Ashes finally comes out in August, and let me tell you, it does not disappoint. An adrenaline rush till the very last page. The stakes here are high and the plot runs like a well-oiled machine, ratcheting up the tension with every chapter. Fans of the series will not want to miss this action-packed installment. Tahir has created another compelling story that defies readers to stop turning the pages. The book deftly handles serious issues like the costs of genocide and war. Both action-packed and emotionally engaging, A Reaper at the Gates is the perfect summer read.